Payments services giant Mastercard and IT giant Microsoft say they are working together to make it easier for folks to use their digital identity online. That’s in the shape of an extension of their existing partnership announced last week that will offer a service that will, they claim, “allow individuals to enter, control and share their identity data their way, on the devices they use every day”. The idea: give consumers a secure and instant way to verify their digital identity across a number of platforms, including financial services, commerce, government services, social media and other application platforms. “Today’s digital identity landscape is patchy, inconsistent and what works in one country often won’t work in another. 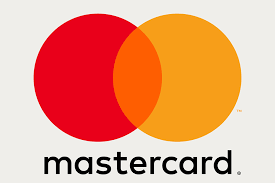 We have an opportunity to establish a system that puts people first, giving them control of their identity data and where it is used,” Ajay Bhalla, president, cyber and intelligence solutions at Mastercard said in a press release. The new collaboration between Microsoft and Mastercard is part of the foundation for new Mastercard services that will be powered by Microsoft’s Azure public cloud platform as well as collaboration with leaders in banking, mobile networks and government. It could also help with identity verification and fraud prevention, the company claims.